State Senators have given initial approval to a pair of bills seeking to fix the state’s public employee pension systems. A coalition of Democrats and moderate Republicans passed the bills. The measures fund long-term debt that faces the state’s two biggest retirement plans. Capitol Reporter Dan Boyce says some Republicans don’t think that is going to work. The Montana Land Board has voted to grant easements for the Keystone XL pipeline. These leases would allow the company Trans-Canada to build their pipeline through property owned by the state of Montana as long as the project passes environmental review. The controversial proposed pipeline still has a long process ahead of it before construction can begin. 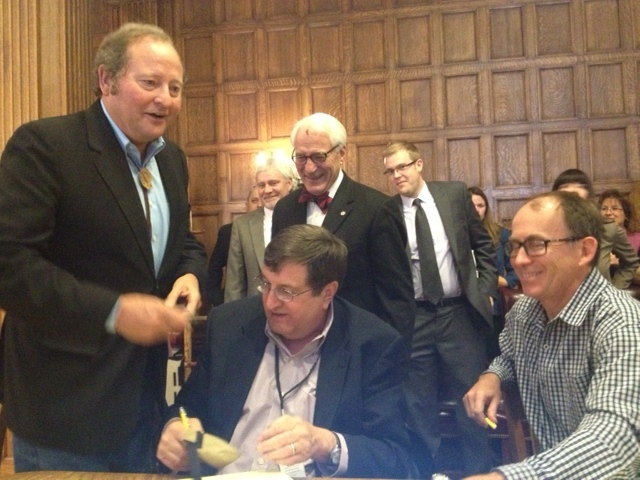 The last action item of Governor Brian Schweitzer’s last meeting with the Montana Land Board was an item of national interest on Monday–granting nearly 40 land easements to the Keystone XL Pipeline. TransCanada needs these easements to cross the Keystone Pipeline through parcels of state land as it makes its way south. The controversial pipeline would run from oil sands in northeastern Alberta, Canada all the way down to the Gulf of Mexico in Texas. Supporters say the project would help the US toward its goal of North American energy independence and also say it would create jobs. Opponents fault the environmental impacts from Keystone. Several of those critics made their opinions known to the Land Board. College student Colton Hash pointed out extracting oil from the Canadian tar sands results in the release of more greenhouse gas emissions than more conventional measures. “The impacts from climate change we should be taking very seriously especially in relation to Montana’s agriculture and Montana’s wildfires,” Hash said. “We are not dealing with your everyday crude oil in this pipeline,” said Executive Director of the Montana Environmental Information Center. The tar extracted from the sands in Canada needs to be mixed with chemicals in order to produce a type of synthetic crude oil. Jensen says this mixture has not been properly tested for its impacts on aquatic environments, and the 36 inch wide keystone pipeline would cross under several Montana rivers. TransCanada says it has agreed to bury the pipeline 40 feet beneath the bed of major Montana rivers. Governor Schweitzer says those with environmental concerns are coming to the wrong place in making these arguments. “Asking the Land Board to assess the environmental capabilities of any particular case would be like going to an auto mechanic and asking him to fix your jet,” Schweitzer said. Schweitzer says the Land Board simply votes whether or not to grant leases or easements for these types of projects. A company like TransCanada cannot move forward with their project unless it passes the permitting process at the Department of Environmental Quality. Keystone has passed this permitting from DEQ. It’s just another step in a long process for the pipeline. The project faces court battles in other states. Keystone also needs Presidential approval for crossing international borders. Montana gets paid once this Presidential permit is granted. The Land Board sold the 50-year easements to TransCanada for over $740 thousand dollars. The money would go to Montana schools. Governor Brian Schweitzer is not missing an opportunity to push forward his agenda—right up to the end of his term. Schweitzer met with the regional director of the US Department of Health and Human Services. He used the meeting to tout his state employee health clinic in Helena. Schweitzer also argued for Montana being able to import lower cost pharmaceuticals from Canada, which he has been advocating since before his first run for Governor. “This is a model for how health care ought to be delivered in this country,” Schweitzer said to U.S. Health and Human Services Regional Director Marguerite Salazar. He was talking about the Health Clinic his administration opened this Summer in Helena. Only state employees can use the clinic and the money for it comes directly from the fund used for the health insurance of those employees. Schweitzer says it saves money through focusing on preventive care and by paying staff salary or by the hour to lower unnecessary procedures. Regional Director Salazar says Health and Human Services is paying attention to the clinic. It Is the first of its kind in the country and Salazar calls it innovative. “And that’s why I want to go visit it so I can take it back to the other states and see if this is something they would like to do,” Salazar said. Schweitzer says he wants to see the clinic expand beyond Helena. He says he would eventually like to see the idea grow into a sort of public health option for all Montanans. Schweitzer leaves office at the end of the year, to be replaced by fellow-democrat Steve Bullock. Bullock has expressed support for the clinics but has not been specific about a timetable for expanding them. “That’s why we’ve asked the Secretary to do what she has been given the authority to do which is to grant Montana the right to re-import medicine from Canada,” he said, meaning US Health and Human Services Secretary Kathleen Sebelius. Schweitzer has been fighting for this idea since his unsuccessful run for U.S. Senate in the year 2000. He says Medicare Part D passed in 2003 has prevented the Federal Government from negotiating the prices of prescription drugs. As a result, he says, drugs are cheaper north of the border, which is why he has been asking Secretary Sebelius to import them. “I think you’ve asked her at least three times officially?” Regional Director Salazar asked. “I know the secretary has considered it, even though she hasn’t given him a response, I think it’s because she doesn’t know what yet her decision will be,” Salazar said in an interview after the meeting. She says Secretary Sebelius is truly worried about the safety of medications across the border. “Because we don’t know what they are and that’s her number one concern, she doesn’t have enough people in the FDA to be able to monitor and check all these drugs,” she said. Importing prescription drugs from Canada will probably not be an accomplishment Brian Schweitzer can add to his gubernatorial legacy. Yet, the Regional Director of US Health and Human Services said she wanted to hold the meeting with Schweitzer to tell him what a good job she thought he has done in office. And she did not leave without getting an autograph. 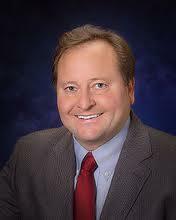 Governor Brian Schweitzer has released the final state budget of his tenure. He says the budget provides a roadmap for the 2013 legislature and Governor-Elect Steve Bullock as they discuss Montana’s finances in the coming months. Schweitzer’s recommendations are in no way binding to either Bullock or the Legislature, but the Schweitzer budget will likely be used as the starting point. The popular, two-term Governor used the presentation of the final budget to tout what he sees as the successes of his Administration. Schweitzer also put forth a list of priorities he hopes the state keeps pushing forward when he leaves office. Governor Schweitzer begins his last budget press conference after just returning from a week and a half-long trip to the Caribbean. “I’m back from having my toes in the sand and a beer in my hand,” Schweitzer said. In just a few weeks he’ll be handing over the reigns of Montana’s government to fellow Democrat Steve Bullock. “Our last, most important duty is to pass a budget along to the next administration,” he said. A budget that continues the Schweitzer legacy of large, record-setting surpluses, which the Governor points out with characteristic tongue-in-cheek humility. “Our cash in the bank today is actually $469,758,700 dollars and 47 cents…so we’re about ten times more than they’d had in history, let’s move along,” he said. Schweitzer’s last budget focuses on the three biggest pieces of that budget, which he labels as education, medication and incarceration. 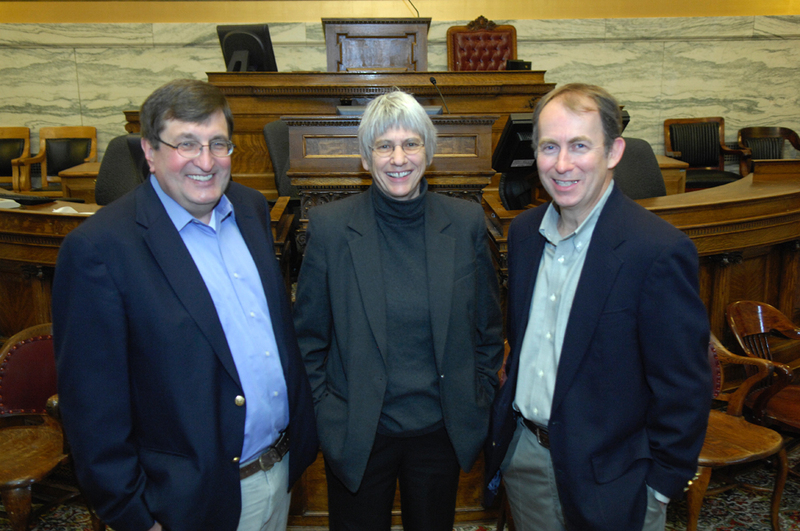 Those three combine to make almost 88 percent of the budget. “And it really matters to the people of Montana that we get these things right,” he said. For education, which makes up half of a budget, he wants to invest $67 million into K-12 education. Schweitzer wants to freeze college tuition for the next two years by injecting $34 million dollars in the Montana University System. He says decisions like that in the past have led to recent reports showing Montana increasing its rate of those with a college degree at the fastest rate in the nation. For the medication component Schweitzer seemed to reverse an earlier position on the state paying for the Medicaid expansion included in the Affordable Care Act. In the past, Schweitzer has expressed reservations about how much this could cost in the long term. But now, he says the state should spend $5 million dollars to get additional funding from the federal government to pay for Medicaid expansion. “To get 80 thousand Montanans covered with health care, 80 thousand,” he said. And for incarceration, Schweitzer wants to add $30 million dollars to the department of corrections. Schweitzer says most of the people in prison have drug or alcohol problems, he wants to increase funding for rehabilitation programs. “To get people ready to go back into society,” he said. Outside of those big three, Schweitzer touted his plan to fix the state’s ailing employee pension systems. The current funding model has those systems over $3 billion dollars in debt over the next 30 years. Schweitzer’s plan asks for higher contributions from both state employees and their employers as well as adding money from natural resource development. He wants to boost state employee pay 5 percent each of the two years. Schweitzer advocates an $88 million dollar bonding bill for construction projects for the Montana Historical Society and at state Colleges and universities. He says this bill could create over 21 hundred jobs. “We’re proposing this bonding bill to the next legislature and shame on them if they don’t pass it,” he said. But the next legislature will be controlled by Republicans and they will be coming with their own priorities for the budget, including the nearly $470 million dollar surplus. A spokesman for Governor-Elect Steve Bullock says they have just received Schweitzer’s budget and will be reviewing it before making their modifications.